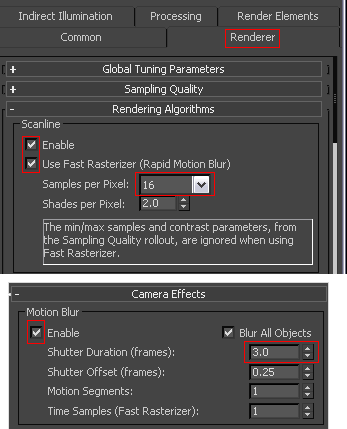 Render Optimizer Tutorial: „Motion Blur“. Optimize „very Fast Object“ . Click on this images to zoom in 3000×1687 Pixel. You see a room with day light system, moving oranges and camera. In the room is a photometic Light in Shadow Map Mode. 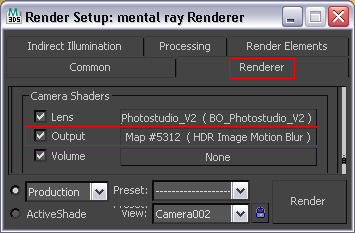 First step we load the HDR Image Motion Blur Shader from the library, and put it in camera output effects. Now we will look how work the important Parameters. Look at the Autodesk Online Documentation for more informations. Click on this images to zoom in 1800×1011 Pixel. 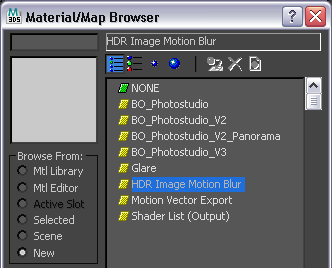 At the First step we deactivate HDR Image Motion Blur Shader. 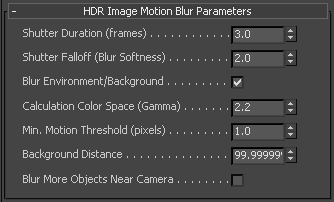 Next we will activate 3D Motion Blur, and look how work the importants Parameters. Look at the Autodesk Online Documentation for more informations. 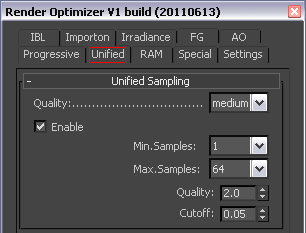 2.3 use Unfied Sampling to optimize the Sample Quality. Next we will use unfied sampling to optimize the Rendering. Look at the Rendering Summary. 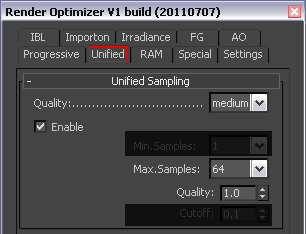 unified sampling = Once enabled, the following simple set of controls can be used to tune the sampling quality of any of the different primary rendering algorithms. The native settings of those algorithms are ignored. samples min = The minimum number of samples is always taken, regardless of the demands from quality and errormeasures during rendering of a scene. The meaning of the value is similar to max. The number of samples actually rendered for a given pixel lies between min and max settings, and will be determined by the quality and error measures during rendering of a scene. samples quality = This is the primary quality control for unified sampling. It is given as a color triple or a single scalar value, applying to all color channels identically. Typical values are between 0.0 and 1.0 but values much higher are also accepted. The higher the quality the more samples are taken in the areas of largest error. samples error cutoff = If set to values greater than 0 areas with sample errors which fall below that threshold won’t be considered for more sampling. 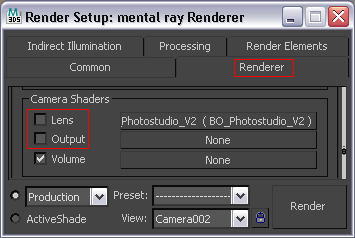 At first step we must deactivate Output and Lens Shaders. Photostudios real 3D Options don´t work in Fast Rasterize Mode. Next step we will activate Fast Rasterize and Motionblur, and look how work the importants Parameters. Look at the Autodesk Online Documentation for more informations. Click on this images to zoom in 1800×674 Pixel. 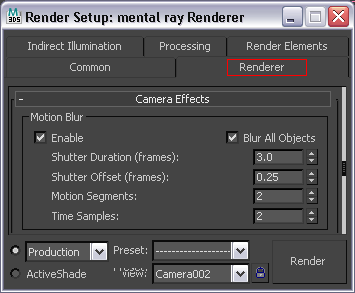 Next we open the Render Optimizer, go the the Submenue „Unified“ and activate the new Sampling Method. We use all new Renderings „Samples per Pixel“=16 and „Shades per Pxiel“ =2. Then we set the Unified Sampling Values „max Samples“=64, „Quality“=1. samples quality ( Shades per Samples) = This is the primary quality control for unified sampling. It is given as a color triple or a single scalar value, applying to all color channels identically. Typical values are between 0.0 and 1.0 but values much higher are also accepted. The higher the quality the more samples are taken in the areas of largest error. Next we use the „Fast Motion Factor“ to optimize fast and transparency Objects. 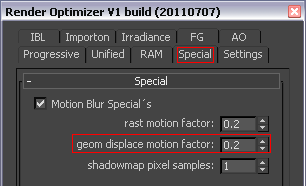 Next we use the „Geometry Displace Motion Factor“ to optimize the floor. The floor consists of wooden planks with Displacement. Control the reduction of displacement quality for fast-moving objects. For polygon/triangle and ccmesh displacement the adaptive subdivision checks the motion length in screen space, which is used to dynamically modify the length criterion of the displace approximation setting. This will adjust the quality of displacement in relation to the amount of motion blur in the image, with positive impact on performance and memory consumption. Geometry is reduced only in areas of the object with large motion. This feature is enabled by default with a factor of 1.0, which results in an good compromise between quality decrease and rendering acceleration. Values greater than 1.0 will further reduce the displacement detail, and values lower than 1.0 will raise quality towards the static case. Setting the factor to 0.0 will disable this feature, which should match the rendering results from previous versions of mental ray.The default is 1.0. Next we increase the Sampling Quality and set the Values to Quality=2 . Next we optimize the Shadowmap and increase the Value from 1 to 3, to have more details and a darker Shadow. Control anti-aliasing quality of shadow maps computed with the rasterizer. This basically sets the samples collect option for shadowmap rendering to the specified value. A value of 0 enforces to use the samples collect default of the rasterizer also for shadowmap rendering, which is currently set to 3. The default is 1, which means 1 sample per shadowmap pixel. Click on this images to zoom in 1800×337 Pixel. 3.8 Final Rendering in High Resolution 3000×1687 Pixel. Click on this images to zoom in 3000×1687 Pixel. Use Neat Image or a other Postproduction Tool to reduce the noise of your Final Rendering.